Medical Legal Advocates was founded in 2017 to bridge the gap between law students and medical students passionate about serving low-income and marginalized communities. Medical-Legal Advocates brings Davis law students and medical students together to encourage collaborative discussion and action in aiding marginalized people. 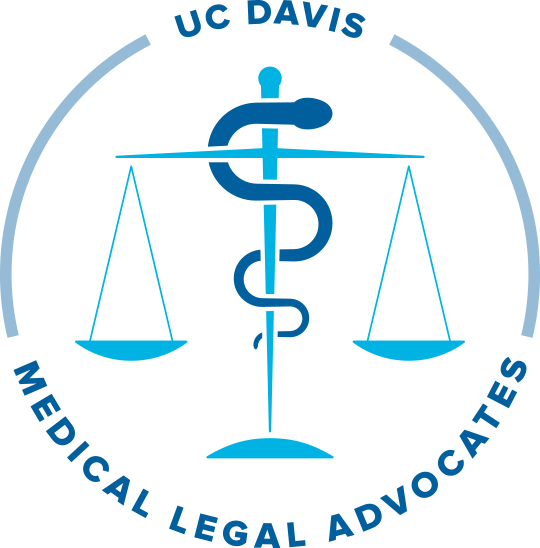 Both UC Davis medical and legal clinics serve marginalized communities through legal representation, services, and medical treatment. The central objective of the club is providing legal materials to UC Davis medical clinic waiting rooms for patients. MLA also works to empower student doctors by informing them of the basics about the laws that affect their patients. Interested in getting involved? Board elections will be held during Fall semester 2017. All law students and medical students at UC Davis are welcome to run for board positions. Learn more about board positions by reading the Medical Legal Advocates Constitution. Email Kim Angulo and Sara Ehsani-Nia for more information.